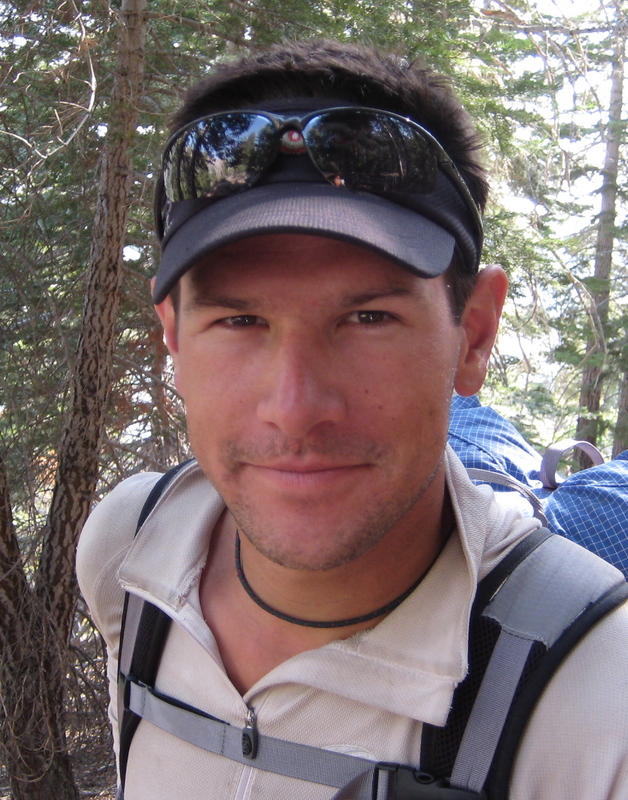 Andy started his career – he is a professional hiker – by hiking the Appalachian Trail in 2002; that took over 3 months, while carrying a 50 pound pack. Just two years later, after a hike of the Colorado Trail and California section of the PCT, and losing about 35 pounds from the pack, he pioneered the 7,778 mile Sea-to-Sea Route, walking across the upper Midwest in the middle of winter, for which he won Backpacker Magazine’s “Person of the Year”. 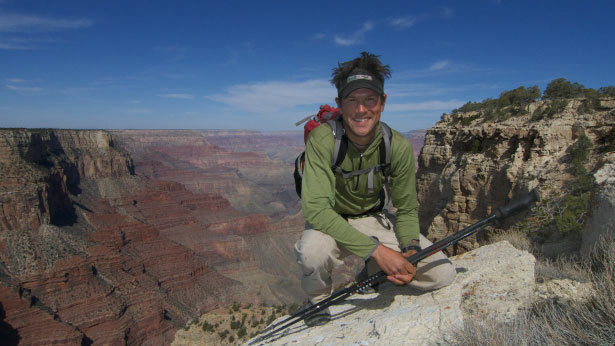 By 2007 it was “Adventure of the Year”, awarded by National Geographic, for his 6,875-mile “Great Western Loop” that passed through five major mountain ranges, 12 National Parks, and 75 Wilderness Areas. 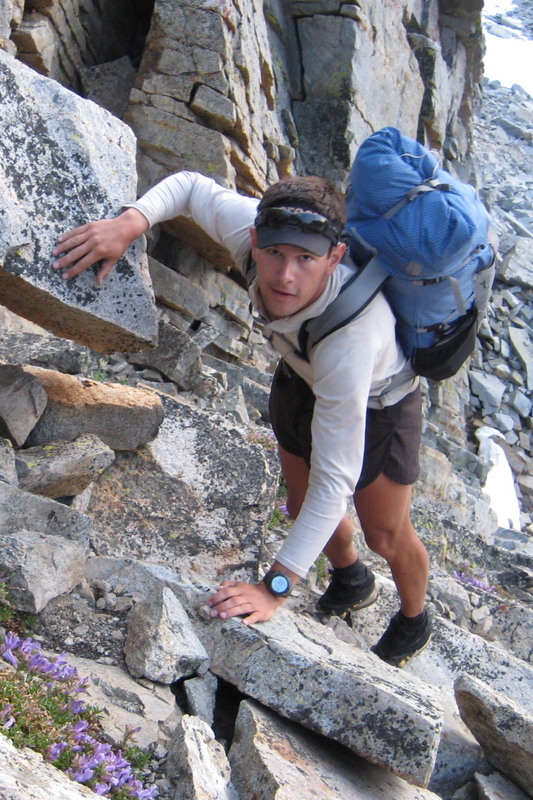 Andy progressed fast … he was now piecing together his own routes … and in 2008 he went off-trail for the first time with a fast transit of the Sierra High Route (documented on this blog). 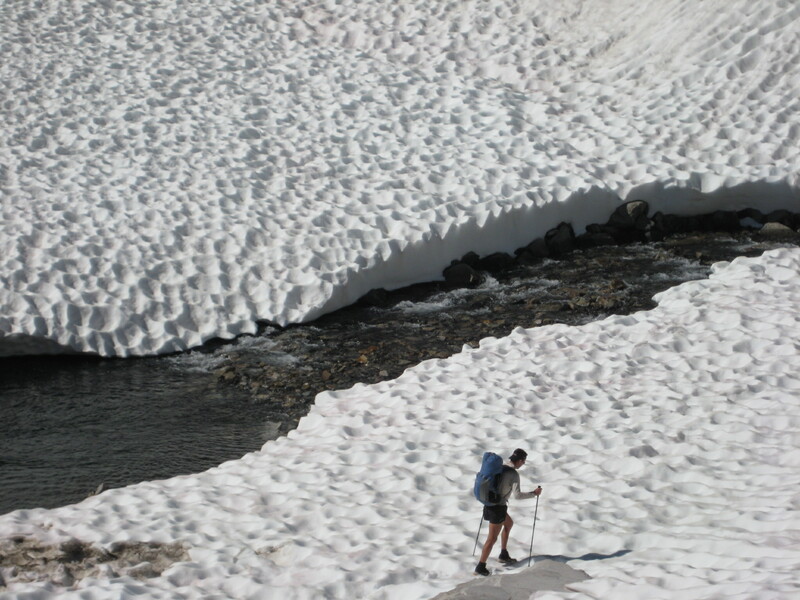 Long distance hiking was no longer enough; he wanted adventure. So the very next year, he learned how to pack-raft, and did the “Alaska Four Ranges” trip, which represented another step up: new technology in an even wilder environment. He now intends to put it all together. Not just a really long route, not just mostly off-trail travel, and with extremely tricky and creative logistics; what’s more, it literally can’t be done without using a packraft and skis. Remote? One section is 615 miles long thru total wilderness. This is the real “Into the Wild”. Andy is taking it to another level in more ways than one. National Geographic Magazine – for a century, the absolute gold standard of outdoor photojournalism – recently agreed to offer a cash grant for the trip. Even bigger, they have allocated 24 pages to the trip in the Spring 2011 magazine! A photographer has been assigned to the expedition, and they’ve even hired famous Alaskan adventure racer Roman Dial to help the photog get around. “How will it feel to have a helicopter hovering overhead?” I joked with him. “Seems like the first three weeks will be the crux?” (All on skis, with the temperature never getting above freezing). * The logistics are incredible. It’s a huge testament to Andy’s skill that he can even get off that first step! * There is huge potential for any slight error to occur. 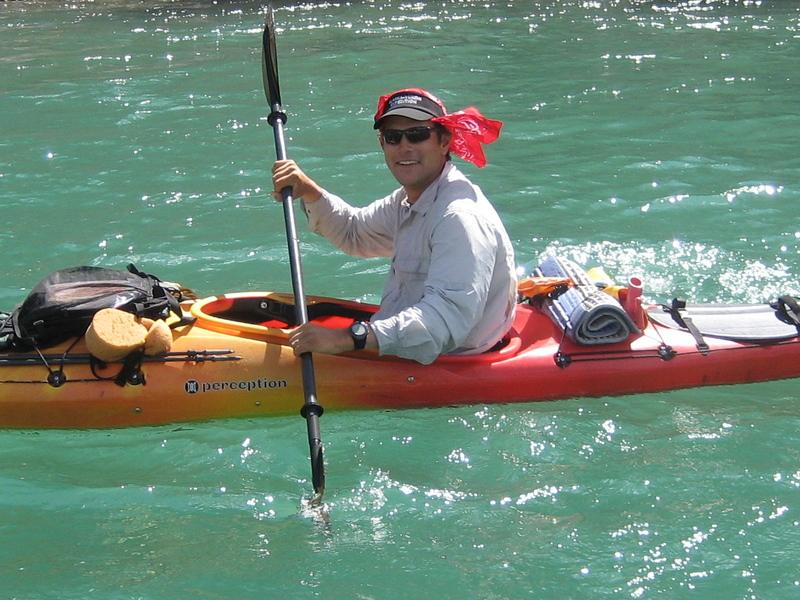 Every day, for 6 1/2 months, in the bush, on skis, in a tiny packraft on glacial runoff streams. * But Andy actually can do this. He alone has all the pieces – incredible fitness, experience, presence of mind and body. Not sure if Lady Luck will allow it, but he can do it. * This expedition is on another level – it’s perfectly reasonable that National Geographic is paying attention. * I think he’ll find that edge. 4720 miles hiking every day for 203 consecutive days = 23.3 miles/day (compared to the 38 mpd he did on the Pacific Crest Trail). 1. 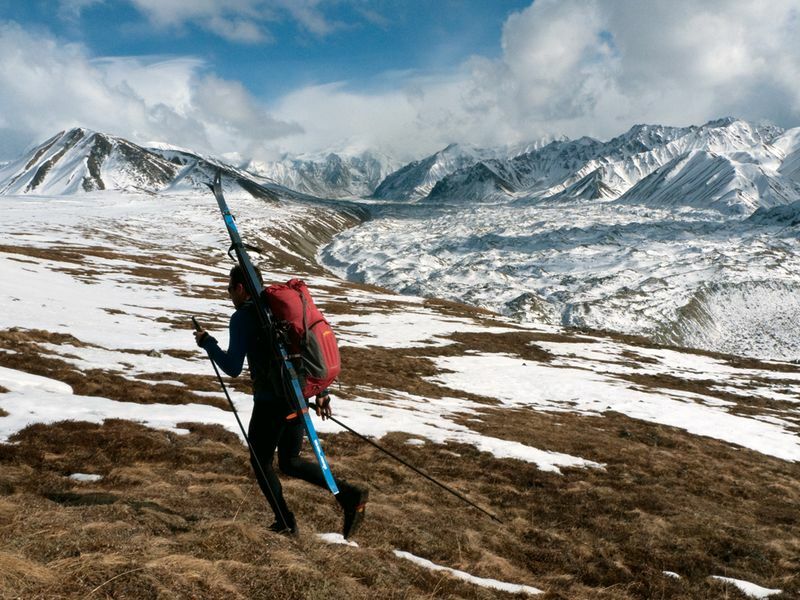 First 800 miles: Winter skiing the Iditarod Trail. “Connect the dots” between villages, so can resupply twice a week. Historic. 2. Mile 800 – 2,400: Southeast Alaska; resupply once a week. 3. Mile 2,400 – 4,700: The Northern Yukon and across the Brooks Range. Resupply once to 1.5 times a week, with the longest being 2 weeks. 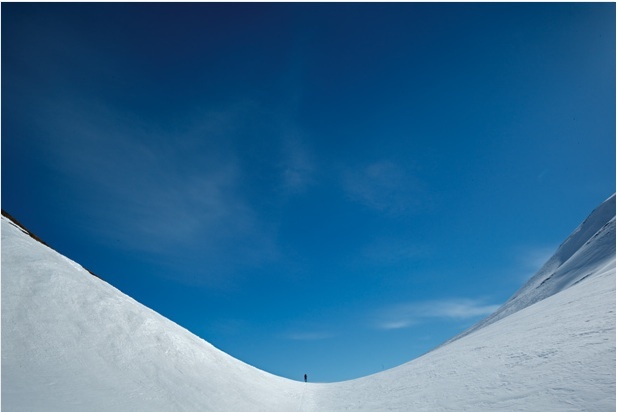 The first 1,100 miles, which is 25% of the route, will by necessity be on skis. He’s using “Backcountry Touring” equipment: 200 cm with metal edges, and waxable. He’ll use a 3 pin binding, because he needs to be able to hike around in the same boot, which is a classic leather boot. BNN bindings ski better, but can’t be walked with. These little inflatables are carried inside the backpack, then blown up and paddled across the multitude of unfordable rivers (think Into the Wild again), and across ocean fjords as well. Besides being the only way to get thru some terrain, they can save immense time floating down large outwash rivers. 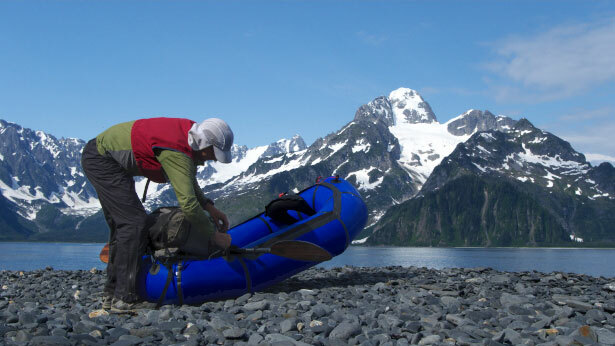 * Baseweight (everything minus food and water) is obviously higher than ever before, but there is no option: you can’t get very far in Alaska without a packraft. * The baseweight will be always be in the high teens, because more gear is needed in winter, and the packraft must be carried in the summer. 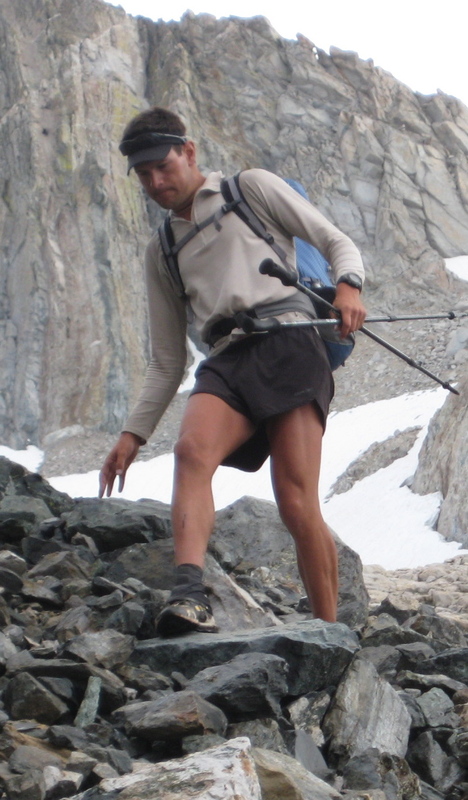 * The heaviest will be when he carries 30 pounds of food across terrain too rough for any resupply, for a total just under 50 pounds (far heavier than his normal super ultralight style). Can’t fly with bear spray! Might use a marine flare. Gun is a non-option: weight, they don’t necessarily work, and there are implications. 1. When I wrote, “No one has ever done this before”, I definitely misspoke. Countless native people have done trips like this for centuries before we started keeping track. Walking from Asia to North America across the Bering Land Bridge, including women and children, is still the most impressive “hike” I know of. 2. Here’s the last updates from Andy. Yikes!! (Saturday evening): Motel tonight. Plan 34 mi push tomorrow to cabin. High to be 15 below; low, -25. Tough start: last wk, 75 deg in Mass. Confident I can do this. This entry was posted on March 13, 2010 at 12:32 am and is filed under Trip Report. You can follow any responses to this entry through the RSS 2.0 feed. You can leave a response, or trackback from your own site. My hat is off to Andrew Skurka for conceiving and planning this awesome adventure. For anyone who wishes to experience his Sea-To-Sea trek, see: ronstrickland dot com. 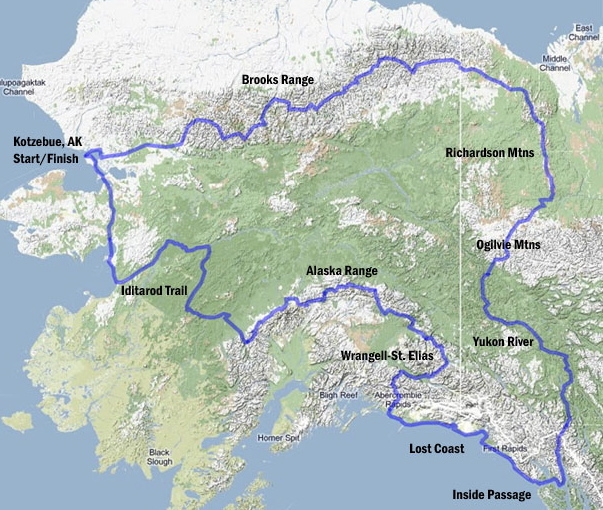 Alaska is the best, but trails such as the Appalachian Trail and the Pacific Northwest Trail have more than enough adventure for most mere mortals. Andy’s trip is so huge, it’s hard to wrap one’s rational mind around it. Stunning. Thanks for the words- Andy’s adventures are enviable. This sounds incredible. I wish I had the means to do stuff like that. WOW! You are truly inspirational!